Archive by category"Road & Bridge"
When it comes to improving safety and mobility, Precinct 4’s Capital Improvement Projects (CIP) Division strives to go beyond the call of duty. The CIP program focuses on new road construction, road expansion projects, including drainage mitigation, traffic signals and intersection improvements, school zone flashing warning signals, and sidewalks throughout Precinct 4. Trahan works with Home Owners Associations (HOAs) and Municipal Utility Districts (MUDs) in Precinct 4 to offer partnership opportunities to better serve their residents. “These partnerships allow us to provide additional services,” says Trahan. According to Trahan, sidewalk installation is one of the most common partnership requests CIP receives. As population growth continues, previously quiet subdivisions may deal with additional traffic, sparking the need for safer pedestrian routes. Aging subdivisions may also need other upgrades to comply with modern safety standards. For example, the Birnam Wood- Fairfax Homeowners Association recently partnered with Precinct 4 to install sidewalks on the east and west side of Reynaldo Drive, upgrade the pedestrian ramps to comply with the Americans with Disabilities Act, and refresh the crosswalk striping in the subdivision. To learn more about Precinct 4’s CIP Division, visit www.hcp4.net/CIP. Is traffic slowing you down? Precinct 4 currently has 10 Capital Improvement Projects under construction and 51 in the design phase. Check out some of the top projects affecting your area below. Proposed improvements include upgrading Treaschwig Road from the existing two-lane asphalt roadway to a four-lane concrete boulevard section with appropriate drainage system and traffic signalization at Trilby Way. The project is currently in the design phase. Planned improvements include widening the Telge Road Bridge over Little Cypress Creek to four-lanes. The construction contract was awarded to Mar-Con Services, LLC, and notice to proceed was given on May 15, 2017. Construction should be complete in September 2018. This is a joint project between Harris County Precinct 3 and Harris County Precinct 4. Planned improvements include upgrading Grant Road from the existing two-lane asphalt roadway to a four-lane concrete boulevard section with storm sewer system, traffic signalization or signal modifications as warranted and all appurtenances necessary for realizing a completed project within an 80-foot right of way. Harris County awarded the construction contract to Angel Brother’s Enterprises, Ltd and notice to proceed with construction was given on February 1, 2017. Construction completion is scheduled for January 21, 2019. Proposed improvements include upgrading Lockwood Road from the existing two-lane asphalt roadway to a four-lane concrete boulevard section with appropriate drainage system accommodating low impact development components. The project is currently in the design phase. It is Harris County’s goal to bid the project for construction in the third quarter of 2018. Planned improvements include widening the half-boulevard section of Kings Park Way (Atasca Oaks Drive) to a four-lane concrete boulevard section with appropriate drainage accommodations, traffic signal modifications and all appurtenances necessary for a complete project. notice to proceed with the construction efforts is expected to be given upon completion of the utility relocation effort. This is a joint participation effort between Precinct 4 and Precinct 2. Planned improvements include upgrading Hufsmith-Kohrville Road from the existing two-lane asphalt roadway to a four-lane concrete boulevard section with storm sewer system, traffic signal installation at Mahaffey Road as warranted and all appurtenances necessary for realizing a complete project. The project was awarded to Allgood Construction and notice to proceed was given January 29. The project is expected to be complete December 24. Planned improvements include widening Gosling Road, between Mossy Oaks Road and West Rayford Road, as a four-lane concrete boulevard section with appropriate drainage system and all appurtenances necessary for a complete project. Commissioners’ Court awarded the project to Allgood Construction and notice to proceed was issued March 21. Construction completion is scheduled for August 13, 2019. Proposed improvements include upgrading Riley Fuzzel Road from the existing two-lane asphalt roadway to a five-lane concrete pavement section. The project is currently in the design phase and is expected to be published for bidding purposes in the first quarter of 2019. Proposed improvements include installation of the missing segments of a continuous turn lane on Veterans Memorial Drive, between West Greens Road and FM 1960, with traffic signal upgrades and intersection improvements as needed. The project is currently in the Study Phase. Planned improvements include extending Holderrieth Road, between Calvert Road and SH 249, as a four-lane concrete boulevard section with appropriate drainage and all appurtenances necessary for a complete project. Commissioners Court awarded the project to Unitas Construction and the contractor was given the notice to proceed on January 29. Construction completion is scheduled for November 25. Looking for road updates in your neighborhood? Harris County Precinct 4’s Capital Improvement Projects division has you covered. This month, we’re spotlighting a few of the major projects in the Klein/Champions area. Check out some of the projects below. Champion Drive is a joint participation roadway and drainage improvement project with Champions Municipal Utility District to upgrade the two-lane asphalt roadway to a two-lane concrete pavement section with an appropriate drainage system. Precinct 4 seeks to begin construction on the project this summer. Proposed improvements include the installation of traffic signal systems on Spring Cypress Road at Chaseloch Street, Glenn Haven Estates Drive, Carrot Street/Stone Forest Drive and Foster Road, including median modifications, turn lane improvements, installation of fiber optic interconnect along the corridor and battery back-up systems for existing traffic signal systems along the Spring Cypress Road corridor. The project is part of the Congestion Mitigation and Air Quality Improvement Program (CMAQ) managed by Harris County and the Texas Department of Transportation (TxDOT). TxDOT will fund 80 percent of the construction costs of the project and Harris County will fund the study, design, and 20 percent of the construction costs. The project is currently in the design phase. Gleannloch Forest Drive is in the design phase and could begin as early as the third quarter of 2018. Improvements include upgrading the existing two-lane roadway to a four-lane concrete boulevard section. This is a joint participation project between Harris County, Harris County Municipal Utility District 367, and Harris County Municipal Utility District 383. Hufsmith-Kohrville Road Segment 2 is currently in the design phase and Precinct 4’s goal is to seek bid authorization in the fourth quarter of 2018. Proposed improvements include upgrading Hufsmith-Kohrville Road as a four-lane concrete boulevard section with traffic signals installed at Lacey Road and Ezekiel Road. Hufsmith-Kohrville Road Segment 3 is currently in the design phase and work could begin as early as the second quarter of 2019. Proposed improvements include upgrading Hufsmith-Kohrville Road as a four-lane concrete boulevard section with traffic signals installed at Woodland Shore Drive. Precinct 4 recently initiated the Louetta Road at Strack Road traffic signalization project. Project development (design and construction) will take approximately 9 to12 months to accomplish. Proposed improvements include the installation of a traffic signal system with pedestrian accommodations. Precinct 4 recently initiated the Spring Cypress Road at Senterra Lakes Boulevard traffic signalization project. Project development (design and construction) will take approximately 9 to 12 months to accomplish. Proposed improvements include the installation of a traffic signal system with pedestrian accommodations. Proposed improvements include extending Stuebner Airline Road between FM 2920 and the Grand Parkway as a four-lane concrete pavement system and upgrading the existing Spring Stuebner Road as a four-lane concrete pavement section between the Grand Parkway and 1,500 feet northeast of the Grand Parkway. Harris County Commissioners Court is expected to execute an agreement with the consultant to accomplish the study and design phase engineering services in June. Where Do Turtles Go During a Flood? When disaster strikes, most animals head to higher ground. Turtles simply hunker down and ride out the storm. Fast-moving floodwaters would ordinarily have displaced the turtles in Jones Park’s Turtle Pond, but Hurricane Harvey had a different effect, said Jason Naivar, staff naturalist at Jones Park. After Hurricane Harvey, Naivar, who teaches Freshwater Ecology at the outdoor aquatics lab, went to check on the turtles. Right away, he noticed a difference. Naivar estimates about half the original turtle population washed away and a few new ones moved in. The fish weren’t so lucky, he said. Naivar expects the turtle population to rebound after the flood. The Turtle Pond contains everything turtles need to survive, he said. The best place to view the turtles is from the dock by the aquatics lab, which was not damaged during the storm. 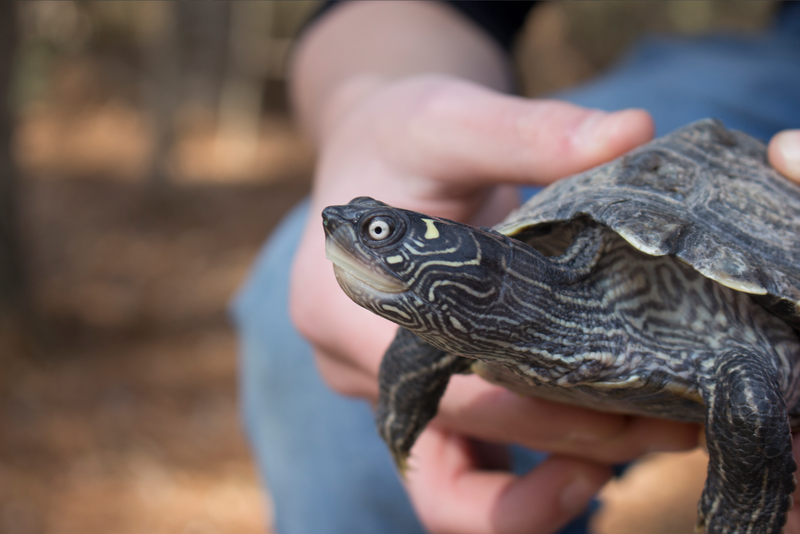 When it’s not in use, visitors and volunteers can use the lab as a rest stop at the park’s Turtle Pond, located along the Cypress Overlook Trail. Commuters traveling through the Humble and Atascocita areas can look forward to new lanes opening on Wilson Road in 2019. Plans include widening a section of Wilson Road between Beltway 8 and Atascocita Road from a two-lane asphalt roadway to a four-lane concrete section with a sidewalk between Humble ISD’s Park Lakes Elementary and Viscaro Lane. Construction began in January and is scheduled for completion on Oct. 29, 2019. 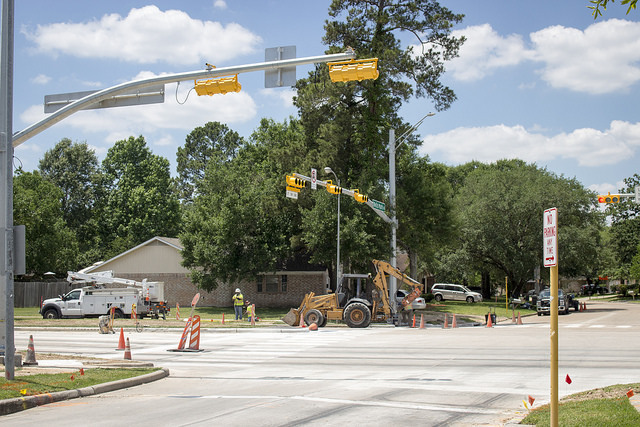 While construction continues on Wilson Road, north and southbound drivers can take Woodland Hills Drive to access Beltway 8, Atascocita Road, Will Clayton, and FM 1960. The roadway opened in January to help relieve congestion along West Lake Houston Parkway and Wilson Road. The Capital Improvement Projects (CIP) Division administers and manages Precinct 4’s Capital Improvement Projects Program. To stay updated on projects, visit www.hcp4.net/community/roadsbridges.